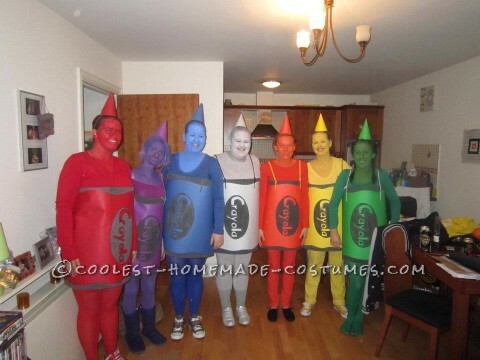 Stuck in a rut of black Halloween costumes? 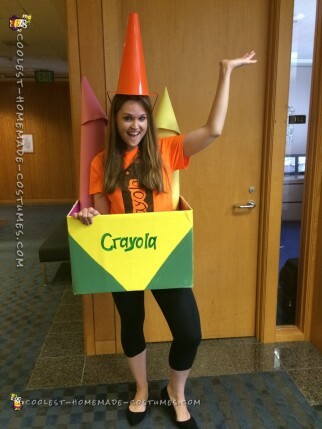 Bring color into your life with these vibrant homemade costumes. 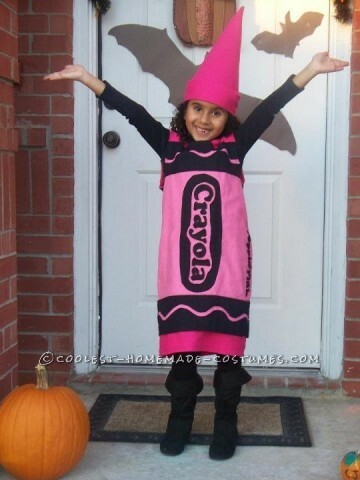 From Hot Magenta to Perinwinkle, get costume inspiration from your first drawing utensils. 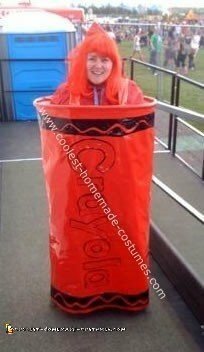 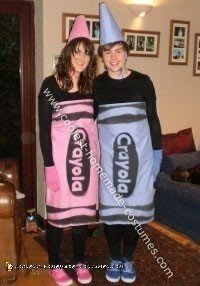 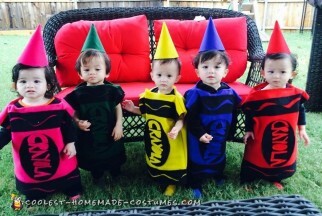 And enjoy this collection of awesome crayon costumes. 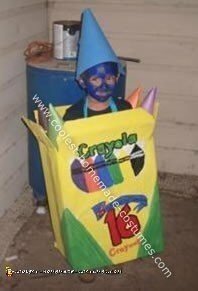 Who doesn’t remember popping open a fresh box of Crayola crayons? 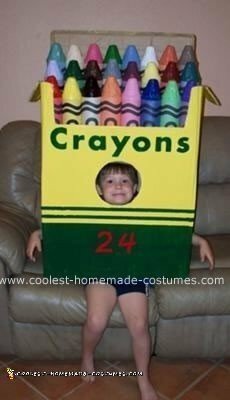 Contained in a freshly opened yellow box of Crayola crayons, is the smell of childhood. 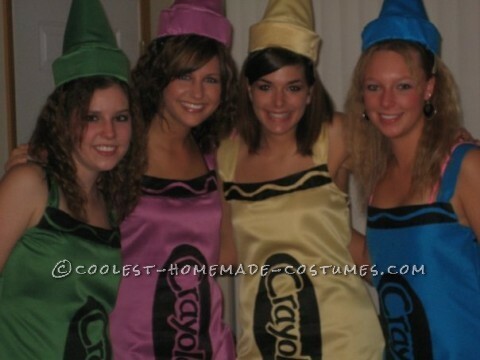 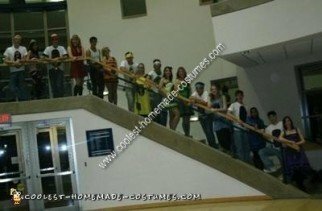 It’s no wonder the DIY costumes below evoke major nostalgia. 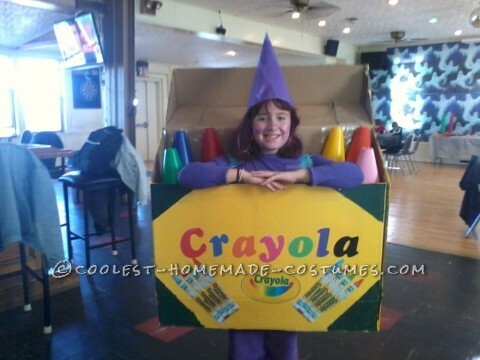 You will also see that this homemade costume is a favorite among kids and adults alike. 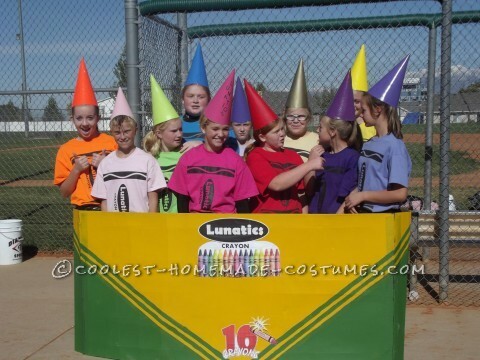 In addition, these DIY costumes make the best group Halloween costumes. 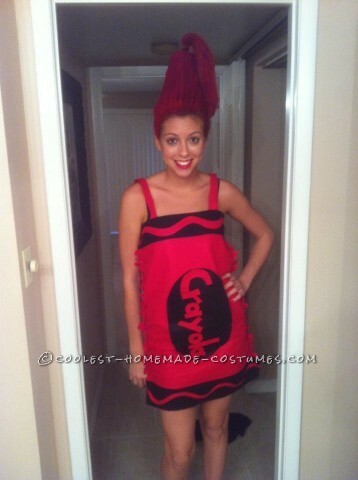 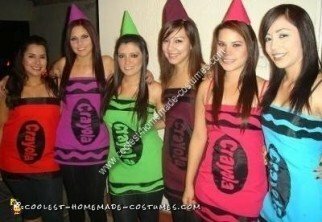 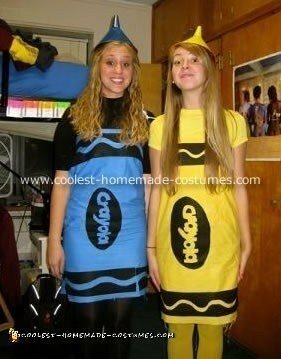 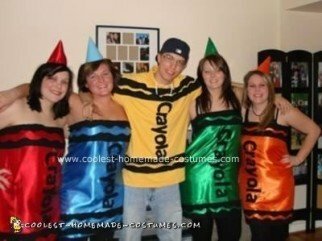 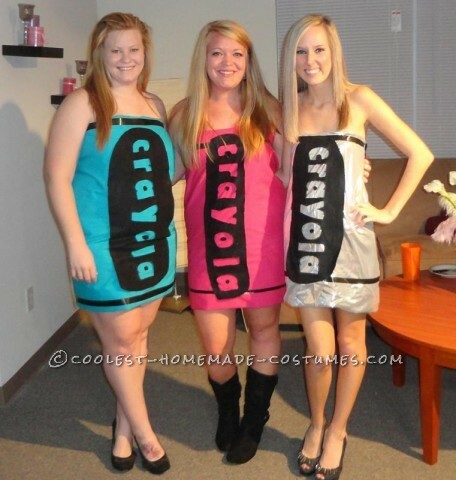 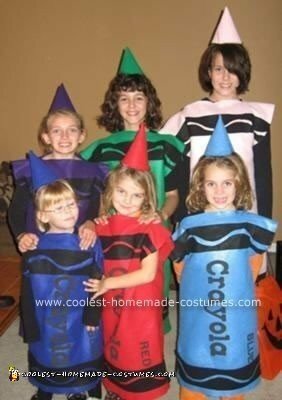 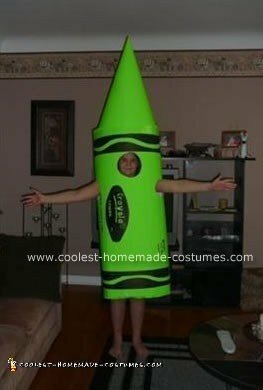 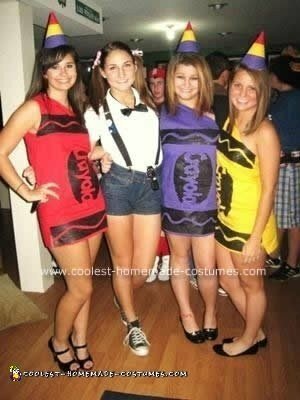 Choose your favorite crayon color and join friends or family for the most vivid homemade costume this year. 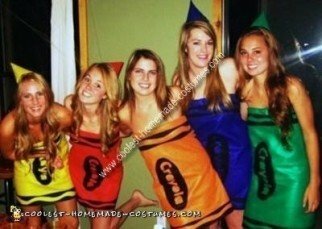 So, whether you are partial to Burnt Sienna or prefer a low-key Yellow Green, the only real question this Halloween is which costume color you will choose!